Walker Law Firm, P. A. - West Palm Beach bankruptcy attorney, Edwin M. Walker III, understands that constant creditors' calls, letters, and legal threats can be overwhelming. It may be time to consider filing for bankruptcy. Walker Law Firm, P. A. 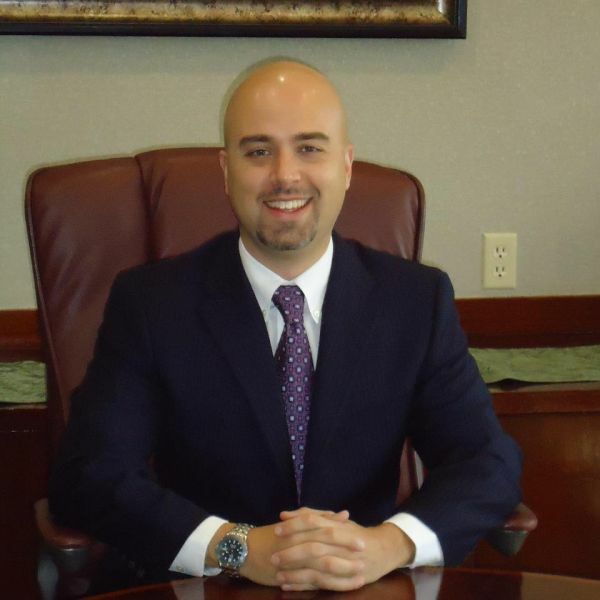 West Palm Beach bankruptcy attorney, Edwin M. Walker III, understands that constant creditors' calls, letters, and legal threats can be overwhelming. It may be time to consider filing for bankruptcy. Contact person Walker Law Firm, P.A. When you find yourself in debt, bankruptcy may be a great option to turn the situation around, but it is not the only option. There are a number of alternatives that can be a great choice to make and they may offer you many of the benefits that you were looking for with a bankruptcy filing. There are a broad range of bankruptcy myths readily available on the internet, from friends, acquaintances and family and even myths that can be incorrectly assumed from existing law or current procedures. Which myths are based in reality, and which amount to little more than fiction? There is a lot of uncertainty about bankruptcy, and many people have questions about how the bankruptcy process works, how long it takes, how much of your assets will be lost to bankruptcy and others. The process of declaring bankruptcy seems to be an extreme option. There are benefits that need to be understood so you can make a decision that is based on your personal financial situation. Before proceeding, you should understand the process and all of the ramifications you will face, both positive and negative. Chapter 13 bankruptcy differs from Chapter 7 most notably in that it does not require the liquidation of qualifying assets used to pay back outstanding debt, making it easier for individuals to continue their operations while seeking that second chance at financial freedom. Perhaps the most well-known type of bankruptcy, Chapter 7, involves using existing income and qualifying assets to repay as much debt as possible in return for court-appointed, legal forgiveness of any remaining debts. Those who file Chapter 7 usually keep most of their personal assets. The guidelines for discharging debt vary depending on the situation and the type of bankruptcy that is being filed for. Having debt discharged can help lighten your load and improve your current and future financial situation. The threat of a foreclosure should be met with the force of a capable West Palm Beach bankruptcy lawyer. When it comes to a foreclosure in your case, don't think that you have run out of options. You still have choices and we can help. While a viable option for many who are at the end of their financial rope, bankruptcy may not be the ideal choice for every situation. Before declaring bankruptcy, it is a good idea to make sure stand to benefit from it. Just because a person files for bankruptcy does not mean that is the end of their financial health. In fact, many individuals who declare bankruptcy are in a better financial position with regard to their credit report than they were prior to filing. The means test is a formula that seeks to make an appropriate determination as to whether an individual qualifies for Chapter 7 or Chapter 13 bankruptcies. This is a requirement under the revised bankruptcy laws. Short sales can be arranged to avoid foreclosure. This process allows the sale of a property at an amount lower than the mortgage. The short sale process requires the consent of any lenders that may be invested in the property, and the process must be managed carefully to avoid owing the shortfall. The bankruptcy process if done correctly, can resolve your serious debt problems and allow you to move forward with a fresh start. My firm explains all of the process to you so you fully understand what will occur and the timeline involved. Navigating through the process of declaring legal bankruptcy is often complicated, time-consuming and can be very frustrating for those who are not familiar with bankruptcy laws or the process in general. This is why it is so important to make sure you have the right support on your side. When pursuing bankruptcy you will need to determine which court you need to file in and the state is divided into different districts. Before you can file, credit counseling has been made a legal requirement in the state and you will need to take and complete it prior to moving further. After this, you must obtain the forms from the court the case will be handled through and keep track of any pertinent documents. There are many forms you will need to file that can be complicated without a West Palm Beach bankruptcy lawyer's assistance. To file with the court, there will be a number of costs involved, including the court fee. You will need to take a means test to see if you are eligible for Chapter 7 bankruptcy. A 341 meeting will take place, during which trustee will review your forms and ask questions regarding them. A creditor can also be present during this time if they which to object and you may have the opportunity to respond to objections. Prior to having any debts discharged, it will be necessary to take a debtor education course that is approved by the government. Law Office of Kelley & Fulton, P. L.
The law office of Kelley & Fulton, P. L. is the best bankruptcy & foreclosure law firm in West Palm Beach, Florida. With experience in bankruptcy and foreclosures law, the lawyer at Kelley & Fulton. Law Offices of James S. Cunha, P. A.
Perlet & Shiner, P. A. The criminal lawyers at Perlet & Shiner, P. A. work to protect the rights of those facing criminal charges in West Palm Beach and all of Palm Beach County, Florida.